The new Suncrest subdivision developed in the early 1950s, resulting in 312 new homes in 1951, with an additional 100 being planned. 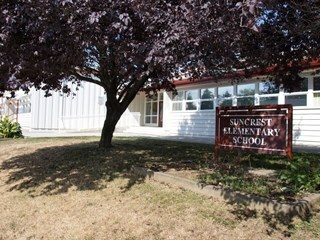 As a result, enrolment pressure resulted in the construction of Suncrest School in 1953. Additions to the original structure were made in 1954 and a library, change rooms and staffroom were added in 1969. 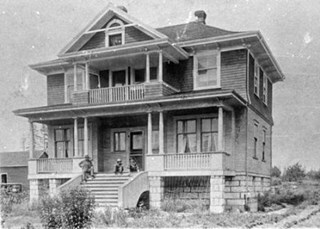 Alta Vista, named for its high views of the Fraser Valley, rapidly grew during the period 1910-1912, seeing its settlement jump from about a dozen buildings in 1910 to about four hundred by the end of 1912. Home-seekers were attracted to its location just a short walk from the B.C.E.R. line at Royal Oak and Highland Park and easily accessible to both New Westminster and Vancouver. Sussex Avenue school was another school built during the peak expansion years of the 1950s and early 1960s. Burnaby's population was growing at such a fast pace during that decade that 10 new schools were built, and existing schools were expanded. Sussex Avenue School opened with 304 pupils. By the 1970s, student enrolment had slowed considerably from its peak and as a result, a number of schools - including Sussex - were closed. South Slope/B.C. School for the Deaf opened in 1992 and is one of the newer elementary schools in the City. The 2009 School Growth Plan notes that South Slope/BC School for the Deaf replaced the former Jericho Hill School for the Deaf in Vancouver. Typical of the Arts and Crafts style, this house has a front gabled roof with triangular eave brackets and a front verandah with twinned square columns on tapered piers. It is notable for its stained glass windows and early ‘ripple’ float glass. Asbestos shingles were at one point added over the original siding, but are being removed by the owner, exposing the cedar shingles. The house is believed to have been built and occupied by Albert and Emma Greenwood. This Baptist congregation originally held services in a tent at the corner of McGregor Avenue and Portland but they soon were able to build a small church. 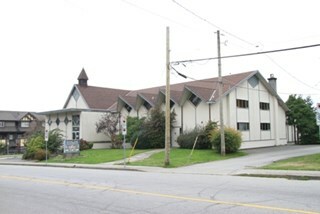 A membership drive by Pastor Arthur James Bowbrick (1875-1961) was so successful that the congregation was able build this fine structure, prominently located at the corner of Victory Street. Although it has been altered with later additions and stucco over the original siding, the original windows and the rooftop belfry remain. 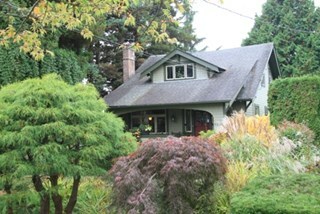 The British Columbian Weekly reported in 1913 that a “Californian Bungalow was being erected …for Mr. F.J. Butler.” This house displays many outstanding features of the Craftsman style including a granite foundation and tapered verandah pillars, and an open beamed verandah roof with an unusual cantilever. The house also boasts beautifully appointed main floor rooms with tiled fireplaces and several excellent Art Nouveau-style stained glass windows. The plan was likely derived from a Bungalow pattern book, popular at the time as the basis for construction of many family homes. This bungalow was built for Joshua Robert Murphy (1861-1920), a mill superintendent, and his wife Elizabeth Ann (née Delby, 1871-1956). The Murphys lived in the house at least until Joshua’s death in 1920. A bellcast side gabled roof and central bellcast dormer accentuate the sophisticated construction. A full width verandah supported by tapered columns on tapered granite piers graces the front of the house. Originally, the dormer held an open sleeping porch with a segmental arch supported by short tapered columns matching those below. Despite this alteration, the house is otherwise in substantially original condition. Subsequent work at Ocean View was designed by local architects Sharp & Thompson through the 1950s, including the stone-faced Garden Chapel, built in 1936 as a replica of a Norman church. Prominent stone gates also replaced the original gates at the corner entrance. 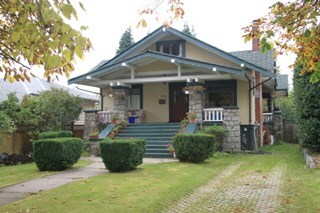 George Sharp (1880-1974) and Charles Thompson (1878-1961) formed Vancouver’s longest surviving architectural firm in 1908. They were born, educated and articled in London, before arriving in Vancouver via different routes. In 1912, the firm won the competition for the new University of British Columbia. Designed to simulate a Norman cottage, the most distinctive feature of this eclectic bungalow is its round entrance tower with a conical shaped roof. Other distinctive features include rolled roof edges clad with steam-bent shingles to resemble a thatched roof, and round-arched windows surrounded with initiation voussoirs. The traditional character reflects the Storybook Cottage movement popular in the years between the two World Wars. 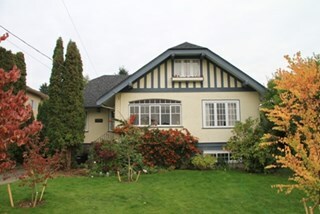 It was built for Vincent Esmond Dodd (1913-1985), a plumber and electrician, and his wife Edna Mary Dodd (née Engeseth). 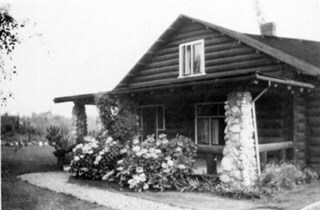 Edna continued to live in the house after Vincent’s death in 1985. This elaborate house demonstrates the pervasive influence of the British Arts and Crafts style. 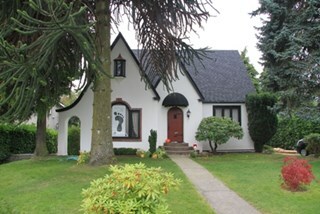 Featuring a front jerkin-headed roof with a prominent side jerkin-headed projection, it displays a variety of features such as projecting heavy timber eave brackets, half-timbered gables, a polygonal projecting bay and banks of multi-paned casement windows. The inset entry porch, which has been enclosed, has arched openings. Stucco has been added over the main floor siding; otherwise the house is well-maintained and in substantially original condition. 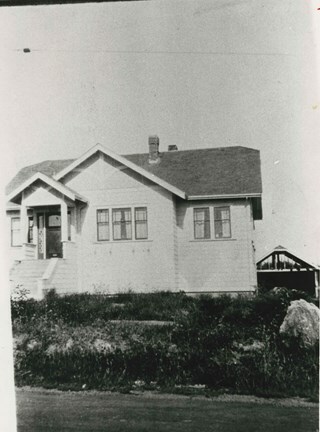 With the increasing settlement on the south slope between Kingsway and Marine Drive following World War Two, the old two-room school of Riverway East was considered inadequate so in 1948, the Clinton Elementary School opened. 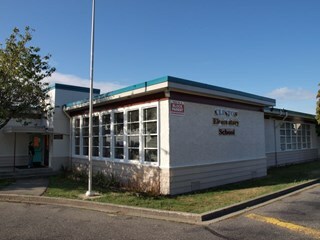 Clinton was to be the prototype of post-war elementary schools in Burnaby. It had no basement, no second storey and no high stairways. Classrooms were built in line and easily added as needed. Clinton had additions in 1950, 1951, 1957, 1964, 1965, 1967 and 1973. 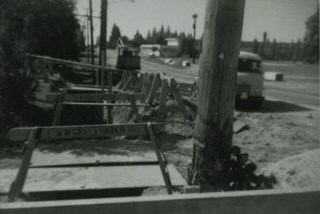 In 1950, the Burnaby School Inspector reported: "the recent development of a number of large housing projects and the continuing growth of new homes in settled areas are compelling the Board to consider a building program of major proportions...now under construction, including McPherson Park with 21 classrooms." Enrolment in its first year was 686 students. 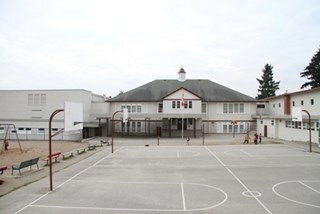 In the late 1980s and early 1990s, junior high schools were replaced with expanded secondary schools encompassing grades 7 through 12; as a result, McPherson Park Junior High was closed and Burnaby South Secondary School opened. 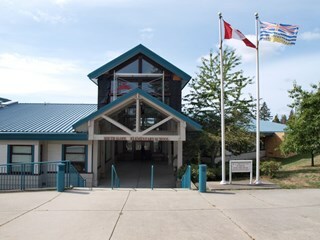 The original Burnaby South High School was replaced in 1993 and the new Burnaby South Secondary School and BC Provincial School for the Deaf was built at this location. This school was built with the latest technology and modern equipment to ensure it was fully accessible and offers integrated academic, social and recreational activities for its students. 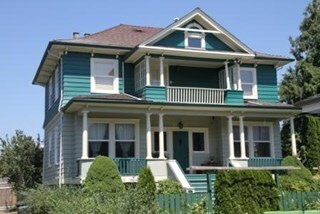 This house was built for Richard Dunn, a police sergeant with the B.C. Police force and his wife Alice. 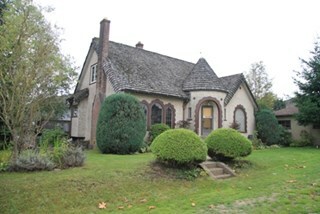 This house is a notable example of a Storybook Cottage, dating from just prior to the outbreak of the Second World War. Modest houses of the era often assumed a cottage appearance that provided a romantic ideal of traditional domesticity. With its smooth, planar stucco, severely-clipped roof edges, round-arched door and windows, side arch with a catslide roof, cross-leaded glass and brick detailing, this house is an excellent example of this picturesque housing trend. Located on a corner lot, the house was sited at an angle. The large Chilean Pine, or monkey-puzzle tree, entrance is a remarkable specimen. 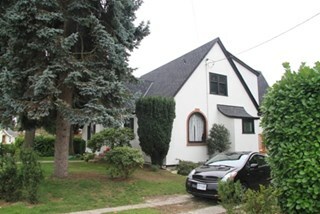 Richard Neville, who lived at 6935 Nelson Avenue, served as a Burnaby councillor in 1924 and is remembered as the man who gave the CCF party (now the NDP) land on Maple Avenue on which to build the original Jubilee Labour Hall. 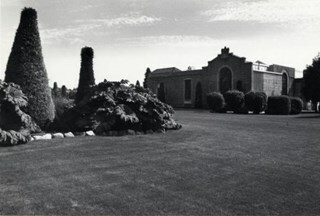 This modern building was built to replace the original hall that was destroyed by fire earlier in 1935. 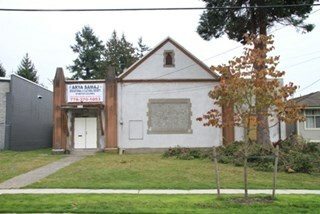 The Jubilee Labour Hall housed the activities of the Socialist movement in the district which had been established as early as 1912 and was sustained by such luminaries as Burnaby resident Ernest Winch. The three front stepped square columns and some beautiful painted stained glass windows are its most notable architectural details. 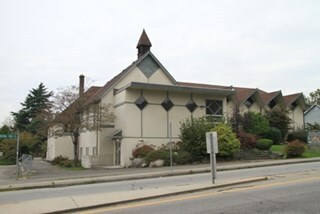 Nelson Avenue School was established in 1912 to serve the Alta Vista district of Burnaby. Architects Bowman & Cullerne designed this Classical Revival style school which was built as the annex to the original school building in 1927 and was a twin structure to the original Windsor Street School building. It once featured a columned porch but has been altered with a coat of stucco over the original main floor siding and replacement windows. It still retains its distinctive hipped roof with a domed octagonal roof ventilator. Harold Cullerne (1890-1976) joined J.H. Bowman (1864-1943) in a partnership that lasted from 1919 to 1934. 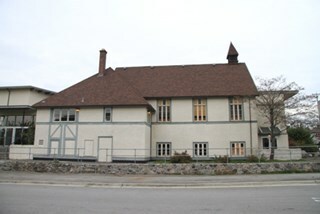 The firm specialized in school design, and their project list includes Seaforth School (1922, now relocated to Burnaby Village Museum), Burnaby North High School (1923), and Windsor Street School (1924). 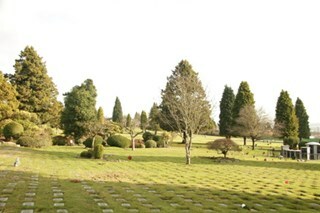 Burnaby’s landmark Ocean View Burial Park was British Columbia’s first non-sectarian cemetery created as a for-profit business enterprise. Organized by a group of local investors headed by Lieut. Col. G.H. 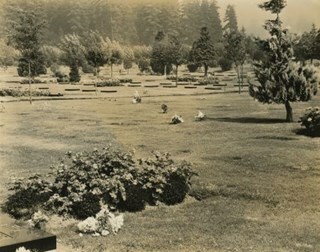 Dorrell, the Ocean View Cemetery Company offered a place for burials that was not owned or associated with a civic government, religious or fraternal organization. 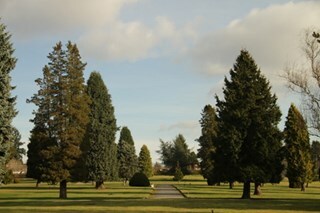 The cemetery’s design was the vision of Albert F. Arnold, an officer of the Canadian Financiers Trust Company, who was “...always depressed by the lack of beauty in so many places of internment and inevitable neglect that finally reduced them to long-grassed places of unhappy memories.” One local newspaper described the landscape of the cemetery: "The design includes ornamental trees and shrubs, beautiful flower beds and smooth winding walks and drives, with a total absence of the usual somewhat ostentatious reminders of the harvest garnered by the grim reaper." 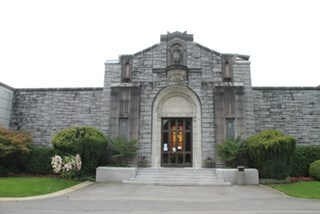 In 1928, the design for the Ocean View Abbey was provided by San Francisco architect Wallace H. Hubbert, who specialized in the design of mausoleums. 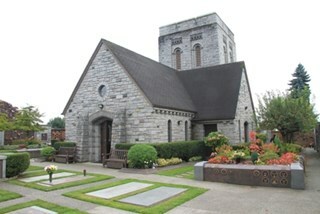 This was the first large-scale mausoleum and columbarium constructed in British Columbia. Although planned to be a much larger structure initially, only one wing was completed in 1931 before the Great Depression halted further additions. Hubbert was born in San Francisco in 1891 and attended the San Francisco Architectural Club. From 1914-15, he worked for famed architect Bernard Maybeck, and during the Depression years he temporarily closed his solo practice and worked for Miller & Pflueger from 1935-1939. He died in San Francisco in 1948. Hubbert was responsible for the designs of the Sunset Mausoleums in Berkeley and Eureka, Evergreen Mausoleum in Oakland and others in Merced and Santa Monica. This Craftsman bungalow was built for the Neville family. 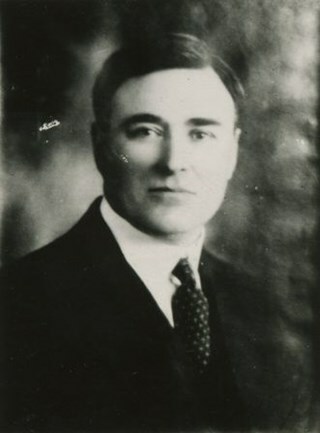 Richard Neville (1884-1950) served as a Burnaby councillor in 1924 and is remembered as the man who gave the CCF party (now the NDP) land on Maple Avenue on which to build Jubilee Labour Hall. He worked as a tile layer for the O’Neill Company and was married to Ada Neville (née Cook, 1885-1970). Ada Neville still lived in this house at the time of her death. Typical of the Craftsman style, the house has a side gabled roof with large front gable dormer, triangular eave brackets, an open arched front verandah and a textural mix of siding including cedar shingle on the main floor and lapped siding at the foundation. 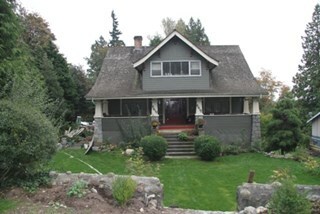 This home was built in 1925 by William Leslie Burdick (1878-1937) and Esther Robina Burdick (née Armstrong, 1875-1964) who came to Burnaby from Manitoba to retire. 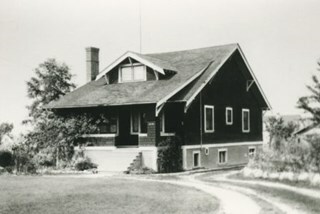 Burdick was a prominent Winnipeg real estate agent; he retired in 1923, and contracted “Sleeping Sickness” the following year, which likely prompted a move to the more temperate west coast. Burdick became Reeve of Burnaby in 1929 and pressed for the development of the Deer Lake area as a great park featuring such amenities as a racetrack and water sports. 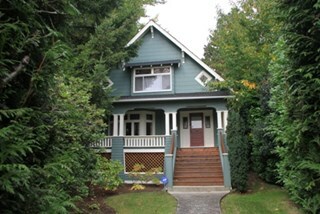 During his tenure, this Craftsman-style home was regarded as a Burnaby showplace. 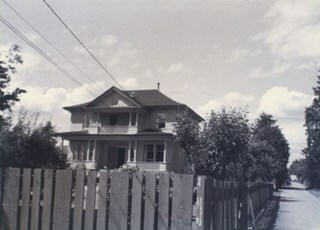 He died in 1937 and Esther lived in this house until her own death in 1964. While the exterior of the house has been altered by a later coat of stucco over the original siding, it retains many original features such as its full-width verandah with tapered granite columns and piers, and stone-clad foundations and chimney. Andy Digney built the speedway in South Burnaby in 1948. He was approached by the B.C. Midget Auto Racing Association, who were looking for a good location to race the smaller, racing cars, popular at the time. 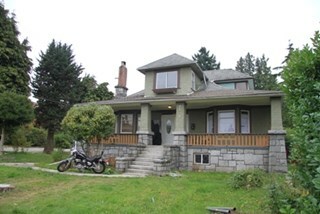 Digney owned property in the vicinity of present-day Metrotown that was centrally located and easily accessible via the interurban railway. Motorcycles were also raced in the early days of the track. In 1949, when the popularity of midget racing declined, Digney started racing roadsters. However, he struggled to find local drivers, and it was expensive to bring in drivers from elsewhere. In 1951 Digney found a winner: jalopy racing. Local men would buy 1930s cars and strip them down, remove the glass, and weld the doors shut. By early 1952 over forty cars were showing up for jalopy races. By the early 1950s the Speedway was well established, with coverage in the sports pages and on radio. The track closed down in 1958 when Andy retired. The O.G. Naud House is a south facing, two-storey house with a bellcast hipped roof, set on a high basement. It features a double-height front verandah supported by classical columns. 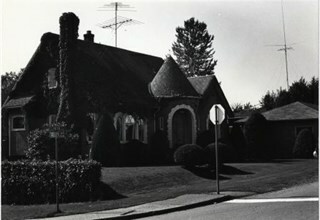 It is located on Victory Street in the Alta Vista neighbourhood of South Burnaby, and is one of the oldest houses in the area. Built in 1908, the O.G. Naud House is valued as one of the first houses to be built in the Alta Vista neighbourhood and is a direct link to the first settlement of the area. Close proximity to the B.C. Electric Railway streetcar line, at Royal Oak and Highland Park, permitted easy access to New Westminster and Vancouver. 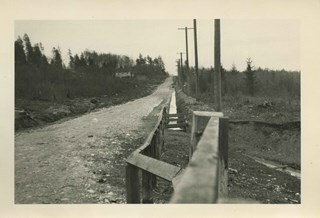 These transportation links, combined with spectacular views of the Fraser Valley, encouraged the early development of this South Burnaby neighbourhood. The O.G. Naud House is architecturally significant as an example of the influence of the Classical Revival style that had been popularized in Eastern Canada. The basic form of the house is a Foursquare, with a double-height verandah that dominates the symmetrically balanced façade, supported on lathe-turned columns. A central entry and regular fenestration further unify the façade composition. Construction employed locally available materials. The rough-cut foundation stone was harvested from boulders from the G. Ledingham property on the south side of Victory Street. The builder and first owner, Onezime George Naud (1858-1951), was originally from St. Albans, Quebec. He worked on railway construction in Alabama, where he met his wife, Charlsie Elizabeth Sims (1869-1974). He later took part in the 1898 Gold Rush in Atlin, then worked as a stonemason on CPR culverts and bridges across B.C. An accomplished stonemason, Naud also worked on the original Vancouver and New Westminster post offices, the Parliament buildings in Victoria, and the Capitol building in Olympia, Washington. The O.G. 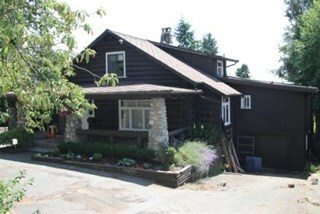 Naud House is comprised of a single residential lot located at 4737 Victory Street, Burnaby. 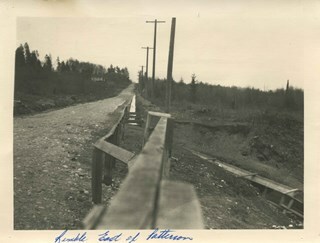 Photograph of Rumble Road east of Patterson. 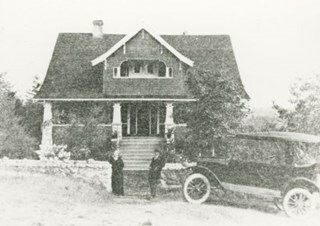 Photograph of Lewarne family home on Nelson Avenue in Alta Vista. 1 photograph (jpeg) : col. 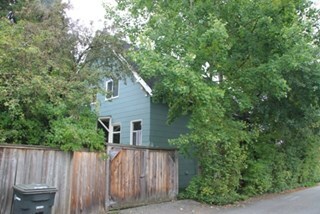 Photograph of the O. G. Naud house at 4737 Victory Street as taken in 2009. Photograph of a group of men sitting and standing outside Tom Forster's house, on Sussex Avenue off Rumble Street. 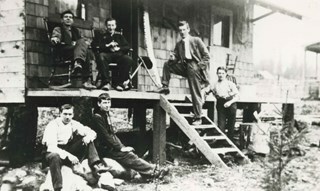 Tom Forster is second from left on the porch. Photograph of the Shepherd house on Clinton Street just off Nelson Avenue. 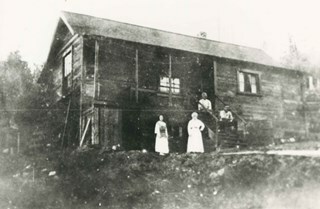 Four unidentified people are sitting or standing outside. 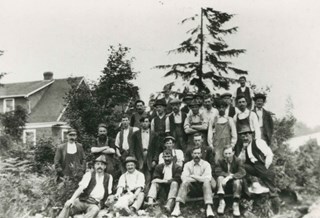 Photograph of a group of construction workers posed outside at Nelson Avenue and Clinton Street. 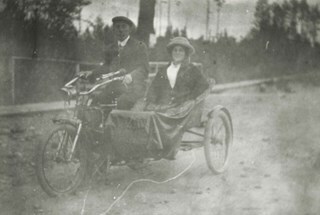 Photograph of Mr. and Mrs. Wilson Forster in a motorcycle and sidecar at Nelson Avenue and Clinton Street. Photograph of an unidentified family at Marlborough Avenue and Victory Street. 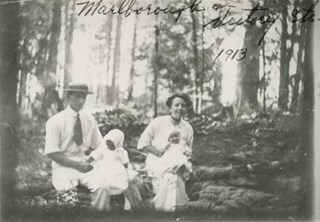 A man and woman are seated outside in a forested area holding two small children. An annotation at the top of photograph reads, "Marlborough & Victory Sts. 1913." File is a strip of colour negatives of students and classes from the South Burnaby Parent Participation Preschool, dated 1974. 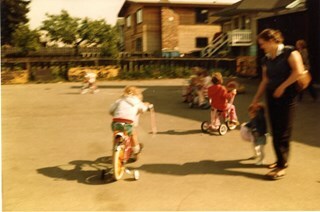 Photograph of preschool students on tricycles with balloons and parents looking on, in the yard of the South Burnaby Parent Participation Preschool. 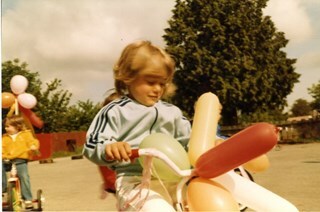 Photograph of preschool students on tricycles with balloon decorations, in the yard of the South Burnaby Parent Participation Preschool. 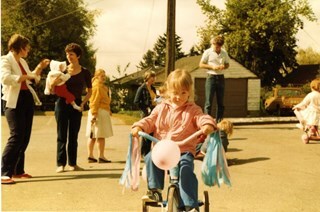 Photograph of preschool students on tricycles with ballon decorations, in the yard of the South Burnaby Parent Participation Preschool. File is a strip of colour negatives of students at a halloween party at the South Burnaby Parent Participation Preschool. 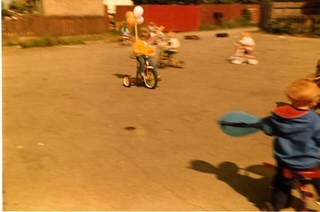 File is a strip of colour negatives of South Burnaby Parent Participation Preschool students at a the pumpkin patch. File is a strip of colour negatives of South Burnaby Parent Participation Preschool students at halloween and Christmas parties held at the preschool. 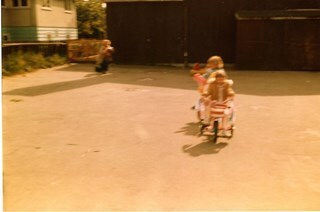 File is a strip of colour negatives of South Burnaby Parent Participation Preschool students at pumpkin patch. File is a strip of colour negatives of South Burnaby Parent Participation Preschool students. File is a strip of colour negatives of South Burnaby Parent Participation Preschool students. One negative shows students and parents on a wagon at the pumpkin patch.